Radio 2 In Concert was back for 2018! A star-studded line up of stellar artists will play live for Radio 2 in the BBC Radio Theatre in November: Paul Weller, Boy George & Culture Club, Ed Sheeran, Emeli Sandé and Cliff Richard. With a career spanning over 40 years, frontman of The Jam and The Style Council, Paul Weller performed tracks from his new album True Meanings as well as classic tracks at BBC Radio Theatre. On Thursday 8 November, Radio 2 welcomed new romantic legends Boy George & Culture Club for a very special performance at BBC Radio Theatre. The 80s icons release their first new album in 19 years, Life, this October. On Thursday 15 November, Ed Sheeran arrived at the BBC Radio Theatre for a very special performance! Having released his history-making third studio album ‘÷’ (Divide) in March last year, Ed has continued to dominate charts across the globe since its release and solidified his status as one of the world’s most talented, and loved, modern day troubadours. 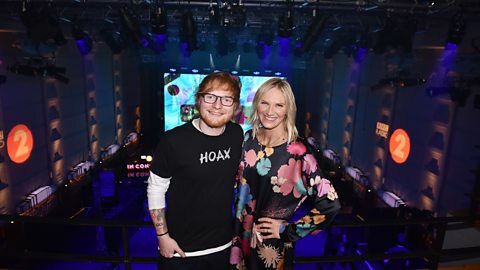 Ed spoke to Jo Whiley before his brilliant intimate concert at The BBC Radio Theatre. 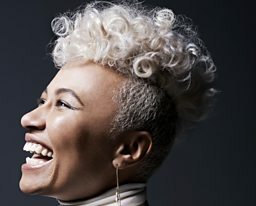 Sunderland-born, Aberdeen-raised superstar Emeli Sandé brought her stunning vocals and beguiling songs to the BBC Radio Theatre on Thursday 22 November. The four-time BRIT Award-winning singer and songwriter is working on new material, following 2016's Long Live the Angels album. Sir Cliff Richard has been forced to postpone his show (scheduled for Thursday November 28) at BBC Radio Theatre. How well do you know your 90s boy bands and girl groups? How Cher influenced Kanye West... and most 21st century pop music! 7 of the weirdest songs on 100 editions of Now! Fan-tash-tic quiz: can you match the moustache to the musician?